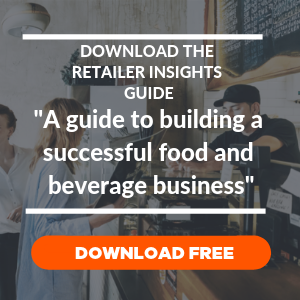 No matter what type of food business you operate, one surefire way to keep your cash flow positive is to ensure your customers pay you on time. Easy right?! Not quite... We often hear that most people are consistently late settling their invoices, which leaves many business owners like you having to chase and ask for payments.d good news is there are ways to fix this. We’ve put together some of the best tips to get your outstanding invoices paid faster so you can keep on top of your cashflow. Because let's be honest, you didn’t start a business just to spend most of your time collecting the bills. If you're running a wholesale food & beverage business, Ordementum can help you get paid faster. Find out more here, and see our tips below. You might find that you're being too flexible when it comes to your payment terms so it's definitely worth revisiting your terms and conditions and refining them if you need to. Your payment terms need to precisely define how payments can be made. Through credit card? Debit card? Direct debit? And when the payment should be made i.e your payment terms (Net 7, Net 30, or Net 60). We suggest offering a payment term as short as 7 days to ensure that you receive payments faster and on time. According to Xero, 1-week payment terms usually get settled in just 2 weeks, whilst 3 or 4-week payment terms get paid in about a month. Once you’ve updated your terms and conditions, you then need to include them on every invoice that you send. This will act as a simple reminder to your customers. Send your invoices to your customers as soon as you can - because the faster you invoice, the faster you’ll get paid. Also take a look at how you send your invoices. If you're currently sending paper-based invoices manually, chances are you are wasting a lot of valuable time not to mention how error prone this process can be. If you want a better solution, switch to electronic invoices that can be sent via email. You could even consider a system that sends your e-invoices automatically. Customers love it when you deliver your invoices on a regular schedule and with ease. It can be the difference between getting paid on time and not! If you find that you've got customers that are regularly not paying you on time then the next step is an overdue invoice and if that doesn't speed things up a payment request letter. This is just a short note where you can inform your late-paying customers when the invoice was due and ask them to pay immediately to avoid costly penalties. Unfortunately there will always be customers who won't settle their outstanding invoices on time. You can address this by stipulating in your payment terms that there will be a penalty for late payments. For example, you can charge them an additional 1.5% fee for invoices that are not paid within 2 weeks. So, what happens if the tips we’ve mentioned above don’t work for you and your outstanding invoices still remain unpaid? Well then, maybe it’s time to completely rethink your invoicing process and make a change that will save you time and money. This is where Ordermentum can help. Of course you know Ordermentum as an ordering app, that streamlines your ordering process, but did you know that it also works as a payments platform that can send digital invoices? As soon as an order is placed on the app, an invoice will be automatically generated and delivered straight to your customer's inbox. Everything is done automatically and you're able to set up a regular payment schedule, which means that your customers are more likely to remember to pay you as they know when your invoice will arrive. To make payments even more hassle-free, invoices from Ordermentum have a ‘Pay Now’ button that enables your customers to pay you through credit card or debit card. The app also helps you keep track of what’s due. You’ll have a full visibility over the invoices that are overdue and are soon due, letting you know who still owes you money. At Ordermentum we are all about simple ordering and seamless payments. If you want to learn more about how we can help you do both book a free demo here. Meanwhile, if you’d like to read more business advice like this, just visit our blog.